Prof Abba Gambo, the returning officer of the election which ran into the night announced on Wednesday that Khadijah polled 1,295 votes to defeat Mohammed who scored only 15 votes. The News Agency of Nigeria (NAN) gathered that in spite of pressures mounted on Mohammed to step down for his father’s wife, he refused. NAN reports that two other contenders including the serving representative Alhaji Abdullahi Kukuwa and Alhaji Ahmed Buba stepped down for the minister. 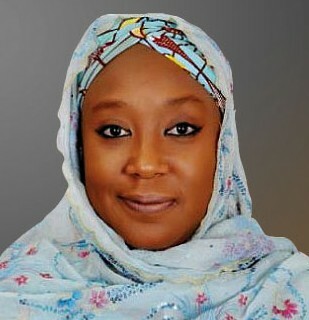 The minister commended Abdullahi and Ahmed for withdrawing from the race to support her win the election. Senator Bukar Ibrahim who stepped down his re-election bid against Governor Ibrahim Gaidam, did not attend any of the party primary elections including the one contested by his wife and son. Meanwhile, some delegates condemned the inability of Khadija Ibrahim to settle her differences with the step son at home, to avoid running against each other.